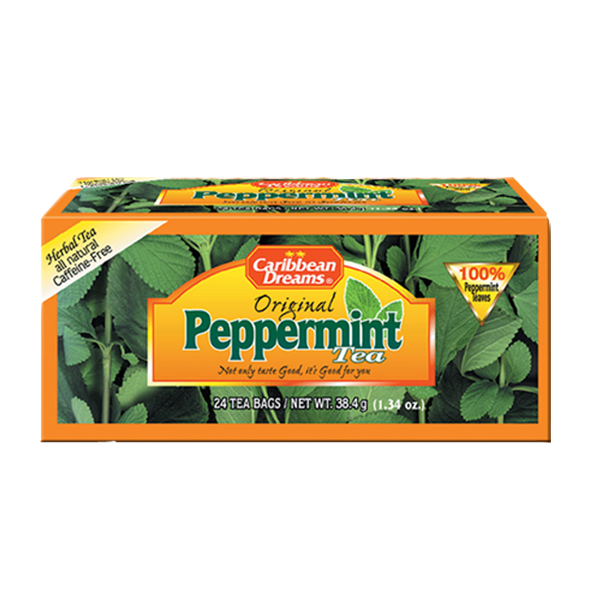 Made with 100% Jamaican peppermint this delicious tea has a number of health benefits and is caffeine free. . Helps with relaxation and sleep . Increased concentration . Helps with weight loss . sinus relief . Soothes stomach problems such as diarrhea and gas. Note : be sure that you are not allergic to mint. Also pregnant women should be aware that peppermint tea causes uterine relaxation which can increase miscarriage risk.
. Soothes stomach problems such as diarrhea and gas. Note : be sure that you are not allergic to mint. Also pregnant women should be aware that peppermint tea causes uterine relaxation which can increase miscarriage risk.